A native of Nashua, New Hampshire, Fr. McIntosh grew up in Jackson Heights, Queens, where he attended St. Joan of Arc Grammar School. He graduated from Fordham Prep in the Bronx and Hamilton College in Clinton, New York, with a degree in music. He worked for several years as a freelance word processing operator at various law firms in Manhattan, after which he enlisted in the U.S. Army and served several years in the band program as a piano player. After attending the Marshall Wythe School of Law at the College of William and Mary, he worked as a legal secretary for several of the top attorneys in New York City, including former mayor Rudy Giuliani. Although Fr. McIntosh struggled with a possible vocation since he was an altar boy in grammar school, it was not until he returned from a pilgrimage to Mexico City where he entrusted his vocation to Our Lady of Guadalupe that things opened up for him and that he entered the diocesan seminarian program at St. John Fisher in Stamford. Fr. McIntosh completed his theological studies at Mount St. Mary's Seminary in Emmitsburg, MD, where he served as president of the Student Government Association, and was ordained to the presbyterate by Bishop Caggiano in June 2015. Fr. 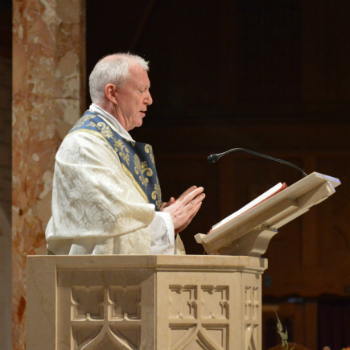 McIntosh comes to us from St. Theresa parish in Trumbull, where he served as Parochial Vicar, chaplain for the Knights of Columbus and the Divine Mercy chapters, and leader of the Altar Server Ministry.